How Do I Perform a Two Sample t-Test in Excel Using SigmaXL? 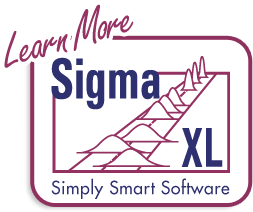 Click SigmaXL > Statistical Tools > 2 Sample t-test. If necessary, check Use Entire Data Table, click Next. Given the p-value of .0007 we reject H0 and conclude that Mean Customer Satisfaction is significantly different between Customer type 2 and 3. This confirms previous findings. Each sample is tested for Normality using the Anderson Darling test. 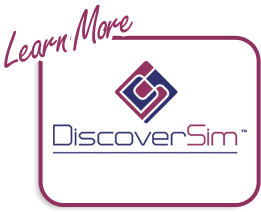 If not normal, the minimum sample size for robustness of the 2 sample t-Test is determined utilizing Monte Carlo regression equations (see Basic Statistical Templates – Minimum Sample Size for Robust t-Tests and ANOVA). 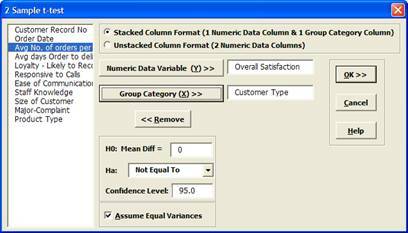 If the sample size is inadequate, a warning is given and the Nonparametric Mann-Whitney Test is recommended. A test for Equal Variances is also applied. 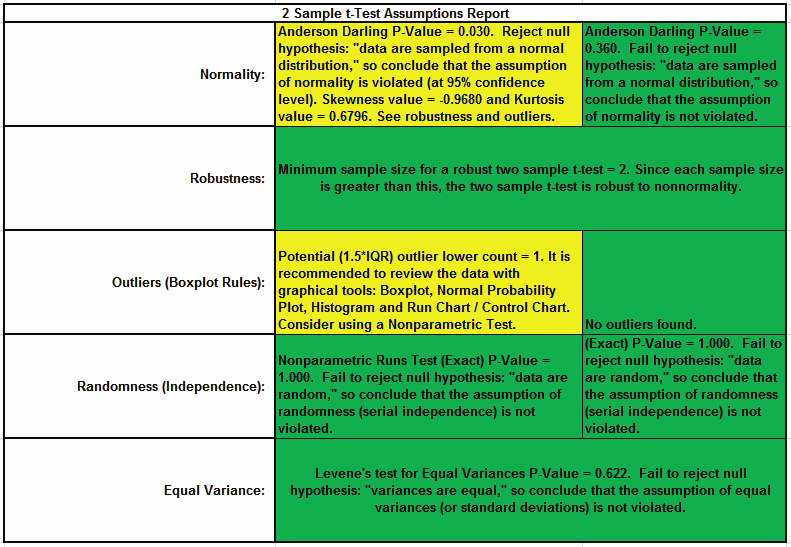 If all sample data are normal, the F-Test is utilized, otherwise Levene’s Test is used. If the variances are unequal and the test being used is the equal variance option, then a warning is given and Welch’s test is recommended. 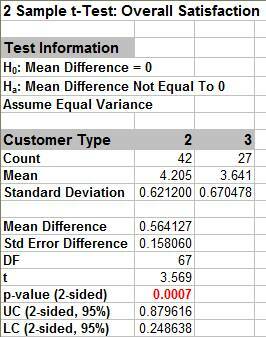 See Appendix Hypothesis Test Assumptions Report for further details.